SUGGESTED FOOD: hors d’oeuvres, ham, light soups, fish, white meat and poultry. Excellent as an aperitif. The must extracted from the pulp, by soft squeezing, is separated from the skins before fermentation begins. The fermentation is done under controlled temperature to favor the extraction of colors, of tannis and the growth and the preservation of the original aromas. It has a nice fruity body with fresh and lively aromas. Straw-yellow in color with bright and pleasant flavors and delicate floral hints. 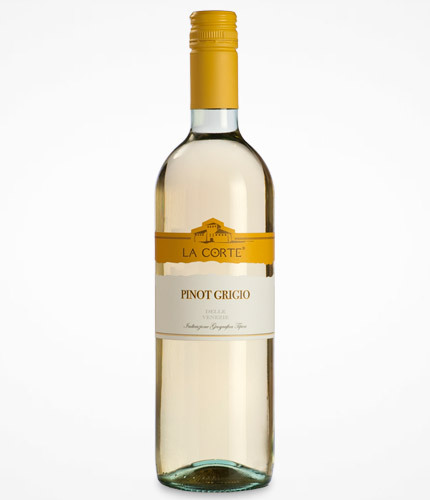 Firm acidity gives this Pinot Grigio a mouth watering appeal with a clean finish.